Create your own custom horseshoe dreamcatcher using your own horse hair. 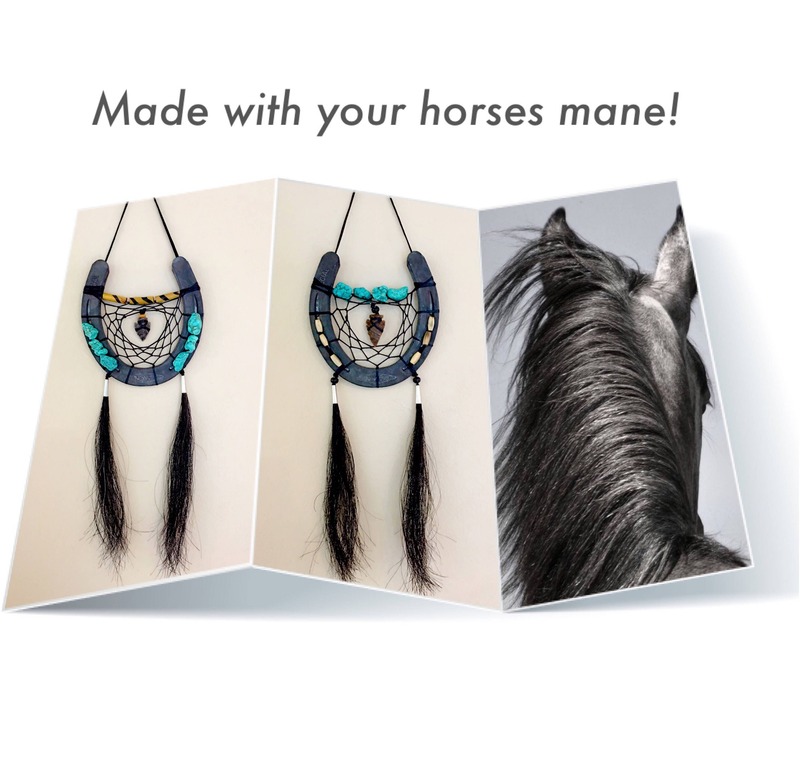 Once you place your order you will mail your lock of horse hair to our shop and a custom dreamcatcher will be made for you, similar to the examples in the photo. Your dreamcatcher will be customized to your request. Hair must be clean and tied/ banded as shown in the photo. 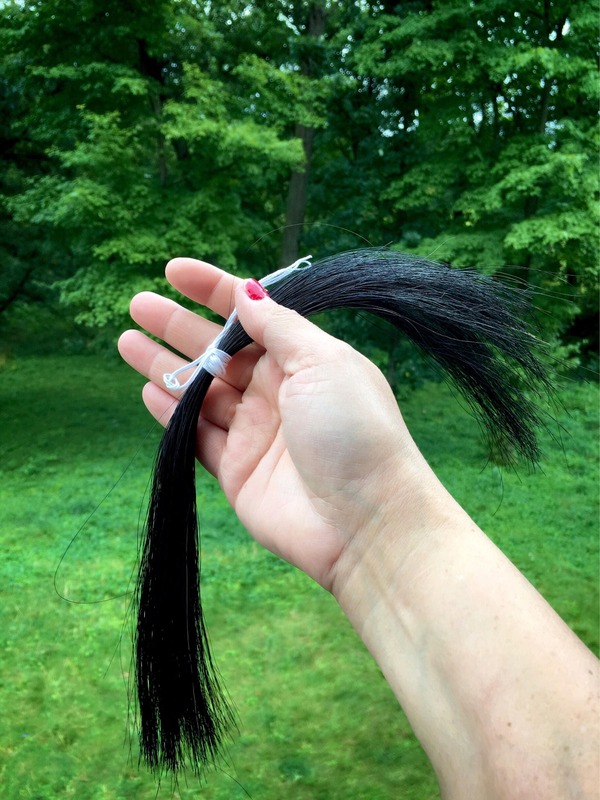 Preferred length is at least 15" but can work with a little shorter if needed. Any unused hair will be sent back with your finished dreamcatcher. Processing time is approximately two weeks from the time I receive your horse hair. Dimensions of the dreamcatcher will be approximately 6" wide by 12" long (not including the hanger). Sage blessed with Lakota prayer prior to shipment. Handmade by a member of the Cheyenne River Sioux Tribe. Absolutely gorgeous! I love being able to honor my beloved horse this way! Thank you! !